The homebirth statistics keep on coming and they keep demonstrating the same thing: homebirth increases the risk of death. I’ve written extensively about the appalling rate of perinatal death at the hands of licensed midwives in Colorado, and, of course, the overall US statistics show that homebirth with a direct entry midwife triples the neonatal death rate. 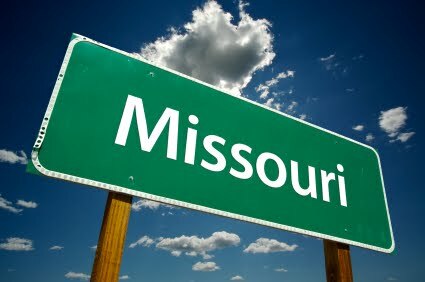 The latest data comes from Missouri and the trend continues. Homebirth has a risk of intrapartum death that is more up to 20 times higher than hospital birth. Birth outcomes of planned home births in Missouri: a population-based study by Chang and Macones published in the American Journal of Perinatology in August 2011 is notable for careful methodology. The authors divided the more than 800,000 births by place of birth and attendant creating three groups: hospital/birth center births attended by physicians and CNMs, homebirths attended by physicians and CNMs and homebirths attended by non-CNM midwives. (Of note, unplanned homebirths and births attended by non-midwives were excluded.) The groups differed significantly by maternal characteristics. Women who had planned home deliveries attended by either non-CNMs or physicians/CNMs were more likely to be older, to be white, to have more children, to be overweight and to deliver at greater than 41 weeks gestational age, but less likely to be a Medicaid recipient or unmarried, to smoke during pregnancy, or to have a maternal medical risk factor. Despite this, the outcomes in the homebirth groups (both those managed by non-CNMs and those managed by physicians or CNMs) had much poorer outcomes. … [W]e observed that rates of newborn seizures were 4 per 1000 births among planned home births attended by non-CNMs, 0.6/1000 among planned home births delivered by physicians/CNMs and 1.1 per 1000 births among deliveries made by physicians/CNMs in hospitals and birthing centers. The rates of intrapartum fetal death were 0.9 per 1000 births among planned homebirths attended by non-CNMs, 1.7/1000 among planned home births delivered by physicians/CNMs, and 0.1 per thousand among deliveries made by physicians/CNMs in hospitals or birthing centers. Rates of neonatal death were 1.4/1000 among planned homebirths attended by non-CNMs, 0 among planned homebirths attended by physicians/CNMs and 0.6/1000 among hospital/birth center births attended by physicians CNMs. This difference does not reach statistical significance, however. Our analysis demonstrates cause of concern about safety of planned home births attended by non-CNMs and physician/CNMs. The results of our study suggest that planned home births are associated with increased likelihood of intrapartum fetal death and newborn seizures, despite the fact that the lowest risk women choose this birthing option. As is the case with most homebirth studies, this study could not separate out home birth transfers from the hospital birth group. Therefore, the study likely underestimates the magnitude of the increase risk posed by homebirth.